Cerro Castillo Circuit is a 50km trek through Cerro Castillo Nature Reserve near Coyhaique, Southern Patagonia, Chile. The scenery on the trek is stunning; indigenous forest, hanging glaciers, mountain rivers, snow peaks, turquoise blue lakes, bizarre shaped mountains – untouched nature combined with unpredictable Patagonian weather. There are different routes in Cerro Castillo you can explore it in one to four days. Compare to some other hikes in Patagonia e.g. El Chalten or famous Torres del Paine, this circuit is quite off the beaten path destination. Required number of days – 3 to 4, we’d recommend 4 in order to have more time to enjoy the scenery but if you’re short in time you can definitely push it to 3 days. Starting point – Valle de la Lima. Finishing point – Cerro Castillo village. Highest points – Cerro Castillo pass – 1600m and Portezuelo Peñon pass – 1435m. Permits – no special permits or guide required, entrance fee – CLP 5000/US$8 is paid at the gate. Summer (December to March) – is the best time for hiking in Patagonia in general; nice and warm during the day (here it rarely gets hot), days are long (you have daylight till 9pm) though it rains a lot in Patagonia any season be prepared to experience some rainfalls. We hiked in February and in general were very lucky with the weather on this hike, not a single drop for 4 days. 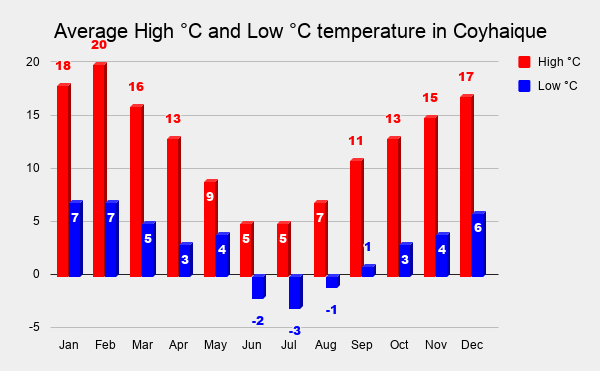 In winter (June to August); night temperatures go down to -2°C and below, days are cold and short, it’s very likely you’ll encounter snow on the trek. April and September are the months with the most rain probably the worst time for hiking. March, October and November are quite cold though temperature even at night stays above 0°C and it doesn’t rain too much. There are no shops or restaurants inside Cerro Castillo National park you must be self sufficient bring all the equipment and food with. There are 5 designated campsites with basic facilities in the reserve where you’re allowed to camp, wild camping is not allowed. Drinking water can be found everywhere (taps, rivers, lakes, falls), it’s good quality and drinkable. We didn’t use any purification tablets or UV filter here. 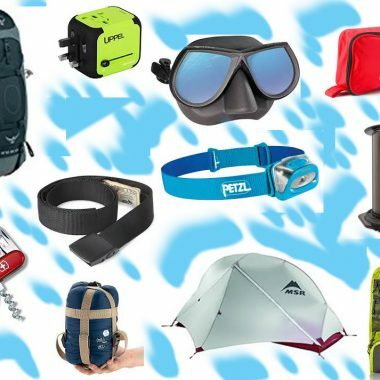 Patagonian weather is unpredictable; strong winds and heavy rains are quite frequent make sure your gear is right. The route is marked quite well all the way, the only time we were unsure about it was in the beginning of the second day. If you hike in summer, especially months of December and January bring insect repellent there might be many tabanos (horseflies) in Patagonia this time of the year, they are extremely annoying. Not many people in Patagonia speak English some basic Spanish knowledge will be handy. In peak season; January-February there are many people traveling Carretera Austral – a road through Patagonia, sometimes it’s difficult to get on a bus often they are full. Hitchhiking in the area is very popular and save, locals and tourists stop a lot to pick up travelers, we hitched all the way through Patagonia and had only good experience. Difficulty level – 3 out of 5, there are two steep ascends and descends on the way. Scenery – 4 out of 5, pine forest, lakes, glaciers, rivers – quite impressive landscape. Touristy – 2 out of 5, we hiked in February which is still high season but there were not many people, mostly Chileans and very few foreigners – nothing compare to Torres del Paine. Some mountain peaks in Cerro Castillo Nature reserve do look like castles. Cerro Castillo is not a high altitude or dangerous hike though some parts of it are quite remote and are not accessible by car. Hiking like any outdoor activity involves risk of getting injury or losing some of the gear due to unpredictable weather conditions e.g. very strong wind that Patagonia is famous for. It’s always advisable to have travel insurance especially if you’re going on an adventure outside your own country. World Nomads insurance company operates all over the world, they have special packages for outdoor and hiking lovers. It doesn’t matter where you live or where you are at the moment, it takes less than 2 minutes to get a quote and you can buy it online even if you are already traveling. We advise always to read the small print and be sure you buy the correct policy. Be properly covered for injury, evacuation, gear loss, trip cancellation and trip delays. Accommodation + entrance fee – it used to be separate and in fact nobody charged for camping on the trail but it changed in 2019 now if you do a multi day hike you pay CLP 23 500/US$35 it includes entrance fee and three nights of camping in the park. For more details on price check the official website. There is no accommodation options, restaurants or shops inside the National reserve bring with you all you need for three nights of camping. Tent – for camping in Patagonia we’d recommend to have a good quality reliable tent that is waterproof and wind resistant. After 5 years of traveling, hiking and camping sometimes in very bad weather conditions we made a choice for MSR tents; light, pack small, easy to pitch, waterproof and very stable in strong wind. They might be not the cheapest tents but will serve you for years without failing. Sleeping mattress – we are both entirely for inflatable camping mats; small and light, easy to wash, fit inside a backpack, soft and comfortable. Sleeping bag – if you’re going to Patagonia in summer 0°C comfort sleeping back will be good enough, in other seasons we’d recommend to bring a bag with comfort to -5°C. As you know it rains a lot in Patagonia for this very reason synthetic sleeping bag will be better – dries quick and easy. Down bags are lighter, pack smaller, warm, very soft and comfortable but if they get wet it’ll be problem. Cooking gear (stove, pots, gas) – we recommend to bring a stove to be able to cook hot meals and boil water for tea. Modern camping stoves are very light and small and will hardly add 500 grams to your backpack weight. Buy a stove with Piezo Ignition to have a back up in case you lose a lighter or matches get wet. As for pots we always take two pots with lids (that we use as plates); one for cooking and one for boiling water. You’ll be able to buy gas in almost any town in Patagonia. You can buy a cooking set with stove, pots, utensils. For Patagonia Coyhaique is quite a big place the last proper town with good infrastructure on the way down south till El Chalten in Argentina or Puerto Natales in Chile. If you need to upgrade your gear, buy gas, draw cash – it’s the place to do it. There are several gear and second-hand shops (ROpa Americana) in the town, which was quite important for me because on the way to Coyhaique I lost my backpack with all my clothes, it fell out of the car while we were hitchhiking. You can combine Patagonia hiking experience with exploring massive San Rafael glacier, there are tours to the glacier that depart from Coyhaique daily. There are many guest houses, hotels, hostels and campsites in the town. If you are on a tight budget bring a tent – camping is the only budget accommodation option in this part of Patagonia. We can recommend El Camping, a bit outside of the town. It has good facilities; hot shower, wi-fi, power outlets but no kitchen you need your own cooking gear, price CLP 5000/US$8 per person. If you’re looking for something private in a middle price range Casa Balmaceda Backpackers might be a good option. Situated in a quite area of the town, 5 minutes walk to the center, offers cozy and comfortable private rooms with heating, wi-fi, sitting area, common kitchenette, washing machine, terrace etc. If you prefer to stay in comfort and keep sleeping in a tent for trekking Hotel Tehuelche Natura is a great option; small and cozy with great facilities (private bathroom, AC, heating, flat screen TV, wi-fi etc. ), located in the very center of the town, delicious buffet breakfast included, very attentive and helpful owners – a great place for a relaxing stay after a multi day hike. How to get to Cerro Castillo? Cerro Castillo National park is about 75km from Coyhaique, the capital of the region. To get there you can catch a daily bus from Coyhaique terminal, it leaves between 9.00-9.30am for CLP 5000/US$8. At the bus terminal confirm itinerary of buses going back to Coyhaique (if you’re going back after the hike) or to Puerto Río Tranquilo (if you’re planning to continue south). As an option you can hitchhike, depending on your luck and how many people are on the route, you can wait for a long time or get a ride in 15 minutes. We always were very lucky hitchhiking in Patagonia. The hike starts at Las Horquetas, about 30km before (if you drive from Coyhaique) Villa Cerro Castillo. If you go by bus just ask a bus driver to stop there, if you hitch ask the same. We had some extra luggage and didn’t want to walk for 4 days with two backpacks each so we had to go first to Villa Cerro Castillo and ask to store our extra bags in one of the campsites (for free), we promised to stay there when we’re back. You can do the same and either start walking other way around from Villa Cerro Castillo to Las Horquetas or catch a ride from the Villa to Las Horquetas. Trek starts at Las Horquetas a turn from Carretera Austral to gravel road, between Coyhaique (75km) and Villa Cerro Castillo (30km). Form the turn to the park entrance about 13km; easy walk, mostly flat, on the gravel road through fields and forest. At the entrance you register, pay CLP 5000/US$7 fee and get a free map. You can camp right here, at Camping #1 but none does it, it’s a nice spot to stop for lunch and rest but we’d suggest to keep walking to the next campsite Río Turbio, it’s about 1 hour walk. Sometimes there is nobody at the entrance you just walk in without paying, they might charge you at the exit or ask to show your ticket, keep it till the end. It was an easy day of walking without steep ascends or descends. In the beginning nice easy walk through the forest along the river for about 4km though at some stage we lost the trail but found it quick. Then only one long steep up on the hike to El Peñon pass, on the top of it you’ll get a chance to walk on snow/ice in the middle of summer. After the up always comes down; steep and rocky, be careful, don’t rush and watch your step. Walk from the campsite to the pass and over it takes about 5 hours. Once down it’s 1,5 hours more to camping El Bosque. As an option you can keep walking for about 1 hour and camp at La Tetera campsite with beautiful view on Cerro Castillo lake. We’d recommend to camp at El Bosque if it’s very windy, it’s located in the forest and better protected from the wind otherwise La Tetera. 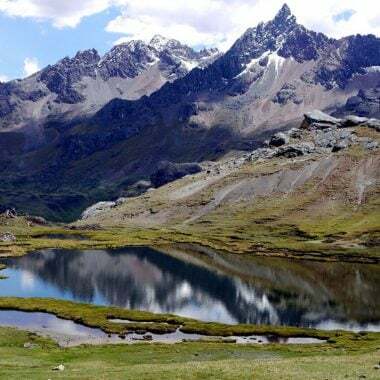 In the beginning of the day after 1 hour walk you arrive at the lake – Laguna Cerro Castillo (you start there if you camped at La Tetera), one of the most impressive scenery on the hike; turquoise color lake, hanging glacier and mountains around. From the lake you’ll start ascend to Cerro Castillo pass, 1600m. Don’t forget to turn around from time to time to check the view, from the top of the pass it’s even more impressive. Once at the top you start steep long descend, be very careful it’s really steep, rocky and gets very windy. After about 1,5 hours you’ll find yourself at the river, camping Los Porteadores. Here you have several options; to camp at Los Porteadores and walk to Neozelandes without your backpack, to skip Neozelandes and go down to Cerro Castillo village or to keep walking with you backpack, about 1,5 hours, to Neozelandes and camp there. We chose the last option and really enjoyed it, the area around campsite is absolutely beautiful; a green valley with a river surrounded by bizarre-shaped mountains. Camping Neozelandes was the least crowded, we were 6 people camping here. If for some reasons you don’t want or can’t continue the hike you can take an emergency route. From La Tetera walk up to the Mirador Cerro Castillo where you’ll see Sendero de Emergencia, a route that will take you straight to Villa Cerro Castillo. This route is used by day hikers to get from the town to Laguna Cerro Castillo and back in one day. The descend is very steep, about 900m down. Last bit and only down, all the way to the road, about 3,5 hours and from there 1,5 hours to the village and campings. At the exit you can be asked to show your ticket, keep it till the end. The trekking is not very difficult but can be if the weather is bad, the path is well marked, no dangerous animals or poison snakes, you walk between 6-7 hours daily. View from Campamento Neozelandes, Cerro Castillo circuit. Huemules (deer), guanacos, foxes, hares, condors, eagles and some smaller animals and birds. We saw many hares, condors and eagles. It’s possible to do a one day hike to the Mirador Cerro Castillo from where you can see the lake and Cerro Castillo glacier. Altitude gain/loss – 900m ascend to the Mirador (view point) with subsequent 900m descend back to the valley. Permits – no special permits required, entrance fee CLP 5000/US$8 is charged at the entrance. Remember for a day hike access to the trail is from 7am to 11am don’t attempt to start later you might not have enough time to get back before the dark. The trek starts at Villa Cerro Castillo, take a bus or hitchhike from Coyhaique. Once there find sign “Sendero de Chile“, about 100km from the information and follow the dirt road till you reach a control point (a small house). Here you pay admission CLP 5000/US$8 and start a steep ascend all the way to the Mirador. It’s better to start the hike early before it gets too warm, all the way up you’re completely exposed to the sun. As an option, instead of going to and back in one day, you can camp for a night at La Tetera campsite, just 20min. down to the valley from the Mirador and come back to the town next morning. Drinking water – bring at least 1l bottle, on the way up there will be nowhere to get water. Snacks, sandwiches – it’s a 6 hour hike you’ll get hungry. Rain jacket or rain poncho – weather in Patagonia is unpredictable. Walking sticks – will be very handy on the way down, it’s steep and long. Sunscreen – in a sunny day it’s a must. Insect repellent – there might be sand-flies, they are very annoying. The hike finishes at Villa Cerro Castillo, small town with a couple of restaurants, a shop or two and small guest houses/cabins and campsites. We can recommend Baqueanos de la Patagonia campsite, 10 minutes away from the park exit, a nice place with good facilities; hot shower, kitchen, electricity, outlets and wi-fi. Price CLP 5000/US$8 per person. To have more accommodation and restaurant options rather go back to Coyhaique. If you arrive at the village early you’ll have a chance to catch a bus back to Coyhaique the same day. 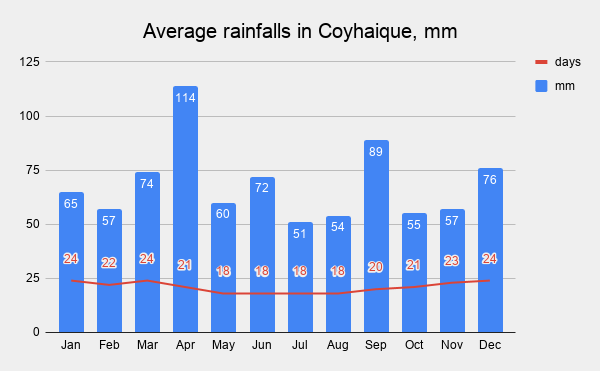 There are two or three daily buses from Cochrane to Coyhaique but in season they might be full. Go to tourist information office just a block away from Carretera Austral. You can try to hitchhike but it can be difficult due to many people on the road – dozens of backpackers locals and foreigners hoping to get a ride. If hitch-hiking is not your cup of tea you can catch a bus just need to know that public transport is very scarce in the area. There was a bus at 11am to Cochrane, price CLP 7000 pesos/US$10. In our experience the bus was already full when arrived, some people could get in. We hitched all the way to Puerto Río Tranquilo, 120km south from Villa Cerro Castillo, were very like to get a ride quick. Hey, thanks for the information, it was very useful to plan this trek. For the record, the price they ask at the gate is now 23.500 CLP which felt like a complete ripoff! Regarding the fact that this money goes for the most part to some landowner and not the conservation of the park, in retrospect we would not have done it. Probably better to stick to the day hike. Anyway, it was still a great trek, but it was a bitter beginning, so it’s best of other knows it beforehand. Hello, Thomas! Thank you very much for the update! We’ll contact the park regarding the price changing. At what entrance did they charge that much, Las Horquetas or at Cerro Castillo village? As I’m aware for the day hike you have to pay the entrance fee as well it used to be the same amount as for the multi day hike. Is it possible to do the Circuit (including Neozelandes) in 3 days? I do not want to take the emergency route but i want to do the trail complete. Hello, Igor! Thank you for the comment! It’s possible to walk the circuit (it’s only 53km) in 3 days if you’re a fit person. On 3rd day you can walk from El Bosque campsite to Neozelandes and from there to Villa Cerro Castillo. This way you’ll walk the complete route, the only difference – you won’t camp at Neozelandes. Hello, thank you very much for this article. I have one question : we don’t need to book the camping sites, do we?? Thank you!! Hello, Izel! We’re glad you found our post helpful! You’re right you don’t need to book campsites in Cerro Castillo, I don’t think it’s possible at all. 1. How do you compare Cero Castillo vs. TDP in terms of hike difficulty, scenery, crowds, etc.? If you had to pick one, do you have a preference? It feels like the back half of O loop is really worthwhile, but W part is very crowded, but overall seems the most stunning (usually find when things are crowded, its for good reason)? 2. Camp sites on Cero Castillo seem pretty up to discretion of hikers – are they somewhat designated or is it really just camp where you decide to stop? Hello, Jesse! Sorry for the late reply we’re busy walking the Camino de Santaigo and don’t have good Internet every day. We did both hikes in late February, early March. Cerro Castillo is a beautiful hike but if we have to choose we’d go for the O trek in Torres del Paine. You’re right the W part is more impressive but the back half of the O is quite nice because it’s quite remote. The walk over the Gardner pass when you see Grey glacier from the top was our favorite part of the hike. As for difficulty if you’re a seasoned hiker both hikes are quite doable though the O is quite a bit longer then the trek in Cerro Castillo which means you’ll have to carry more food with. Campsites in Cerro Castillo are designated but very basic some have plastic toilets, tables and benches, there is always a source of water nearby. Good luck and enjoy Patagonia! Hi guys! Very helpfull description! I’m planning to do this trekking at the end of November, do you think there’s any possibility to find snow? Is it possible to rent a tent and sleeping bags somewhere in Coyhaique for example? Would you also recommend a 2 days and one night hike as we don’t have plenty of time? Have you done other hikes in Patagonia and Tierra del Fuego you would suggest? Thank you so much!! Hello, Serena! Thank you for your comment! There will be definitely snow at the pass – it’s always there even in the mid summer. We didn’t see specific gear rental places in Coyhaique we were looking for a second-hand sleeping bag to buy but found only new bags in expensive gear shops but we didn’t look for a rental place. In 2 days you’ll see the highlight of the trek Laguna and glacier Cerro Castillo. If you don’t find a place to rent camping gear you can do a day hike to the glacier and back you’ll see basically the same as in 2 days just won’t camp there for the night. We have an itinerary for a day hike to the Laguna in the post as well. As for other hikes in the region – yes, we did quite a few we spent 2 months in Patagonia. At the end of this post you can see “Related posts” with the links to all other treks we did in Patagonia and places we visited. Hello, Denise! Sounds like you’re fit enough to hike Cerro Castillo for 4 days, it’s not a very difficult hike though there are one or two steep up and downs. If you go in January it won’t be too cold might be rainy and windy. For camping there you just need the right gear; good water and windproof tent, warm enough sleeping bags, good mattresses, cooking stuff etc. and you’ll be fine. All you need to know is how to use your camping gear not much experience needed. If you’re going to do the 6-foot track in winter it’ll be a great chance to test your gear and get some camping experience. If you have more questions about hiking in Patagonia we’ll be happy to answer. Thanks so much for your help and in general for your generous informative blog – I’ll let you know how it goes. What would you consider the lower age limit for this route? I’m trying to find a backpacking trip that I can do with my 9 year old daughter that isn’t crowded like torres del paine or similar. Great write-up, really helping for our planning to hike this in a few weeks!! Just one question, I saw that you headed to Torres for trekking after…how did you travel overland from Cerro Castillo to Puerto Natales? Looking at some options and just wondering how busy it is…if we need to book ahead, etc., etc. Hi, Jerrett! Thank you for the question! We kept hitch-hiking till Villa O’Higgins, with several stops on the way, then took a ferry to Candelario Mancilla and from there walked to El Chalten (Argentina). We did a couple of hikes in El Chalten and from there hitched to Perito Moreno glacier and then to Puerto Natales. Hitchhiking in Patagonia was easy except from El Chalten to Perito Moreno there were too many people on the road, we waited the whole day. We have two blog posts in Chile section about hitchhiking Carretera Austral and Walking from O’Higgins to El Chalten as well as Hiking Torres del Paine. If you’re considering buses there are very few on the section from Cerro on, maybe once a day or so and as I remember those that stopped at Villa Cerro Castillo were quite full. From El Chalten to Puerto Natales there were buses I don’t think it will be a problem though they’re quite expensive. Great post. Thanks! 2 questions: 1) How would the weather in mid-March differ and how might it affect this itinerary? and 2) Your intro mentioned a 3-day option. Do you have any guidance on how that would work? Thanks again! Hi, Tom! Thank you for the question! We did the hike end of Feb and the weather was good, quite warm and sunny. But Patagonian weather is unpredictable it can change in a few hours and chances for rain in March are higher though we did Torres in Mid March and it was fine. As for itinerary you can do from one day to 4-5 day hikes in Cerro. For a 3-day one you can start and finish at Cerro Castillo village, go first to campamento Neozelandes, then to El Bosque and take the trail from the lagoon that day hikers use to get back to the village. Good luck! What month did you do your trip? We are thinking of doing this route in early December but are curious about snow and river crossing conditions. Hi, Stephen! We did this trip the end of January – February but I don’t think there will be snow there in December, it’s beginning of Summer. Maybe you’ll have to cross some rivers barefoot in knee-deep water but the rivers are not that big and strong, it can’t be a big problem. Thanks for the information. How long is a day hike from Villa Cerro Castillo up to the laguna and back? How does it compared to a day hike at Fitz Roy or Torres del Paine (day hike)? Hello, Owen! Sorry for the late reply we were on a hike and just came back. We didn’t do any day hike in Patagoina so we can’t really compare them. For Cerro Castillo if you want to go up to the laguna and back the same day you have to start early at 7-8am to have enough time to get back before dark (it gets dark very late in summer about 9-10pm). We enjoyed all three hikes the scenery on all of them was amazing; glaciars, lakes, mountains. For Torres in one day you won’t be able to see much just Las Torres and a lake or two. Fitz Roy you can do different day hikes there are several routes but to see Fotz Roy at sunrise you have to camp there it’s too far from the entrance. Hope we could help you a little bit. I’m female and travelling solo. 1. Would you recommend doing this trail, with camping, alone or engaging a guide for safety? 2. If I plan on going from top to bottom on my patagonia journey would this be easier accessed before or after Fitzroy and Los Glaciares? Thank you, loved the article and hope to read more such posts! Hello, Anthea! Thank you for your comment! 1. It depends when you’re planning to do a hike. If in summer you can easily do it on your own there are no dangerous animals and all people on the way are tourists/backpackers nobody to be scared of. The hike is quite popular among Chileans so there will be always people walking and camping nearby. If you want to do it in winter (we don’t even know if it’s possible) I wouldn’t do it at all. 2. We traveld from top to bottom and it was quite easy to access Cerro Castillo from Coyhaique by bus or hitch-hiking. Fitz Roy and Los Glaciares are more South if you go there first you’ll have to go up again. For us Chilean Patagonia and Carretera Austral was one of the most beautiful places in South America so we’d definitely recommend to go down Chilean side and then cross to Fitz Roy. We have done it in January this year. What a stunning place. No doubt that it is safe. Nevertheless, watch for inclement weather. Enjoy! Hi, Jan! We’re glat you enjoyed Patagonia and Ceroo Castillo! The place is really amazning! I did the hike too and loved it – though a slight variation. Im trying to find out the names of the glaciers and lakes above the neozelandes campsite, do you have any idea of them? I’m trying to find out more about the moraines they left lying around up there – so incredible! Hello, Nicholas! Thank you! The neares to the campsite lake is Laguna Duff. About the glacier we aren’t sure on our map it says Neozelandes the same name as for the campsite. Okay great, thanks for the name. Will have peek into it. Well. You know what I mean. Hello, Marcella! Thank you for the comment! We’re sure you’ll enjoy the hike! We didn’t see any horses (there are no mules in Patagonia at all) or porters in the park all tourists carry their own stuff. And we didn’t see anywhere in the area advertising horses for rent. The only one National park in Patagonia where it is definitely possible to rent a horse is Torres del Paine but it’s quite expensive. Yes, we got our map at the entrance at Cerro Castillo village, it’s free. You can get it at both entrances but sometimes there is nobody at the entrance from Valle de la Lima then you don’t pay the entrance fee and don’t get a map. You can as well buy your own map in one of book or gear shops (e.g. in Coyhaique). We didn’t have it but other tourists told us it was better than the free one. We used only the map no other navigation for Cerro Castillo the trail is quite clear and there were other tourists to follow. Often for navigation we use app Maps.me it usually has trekking trails and works offline. If you have more questions we’ll be happy to answer!